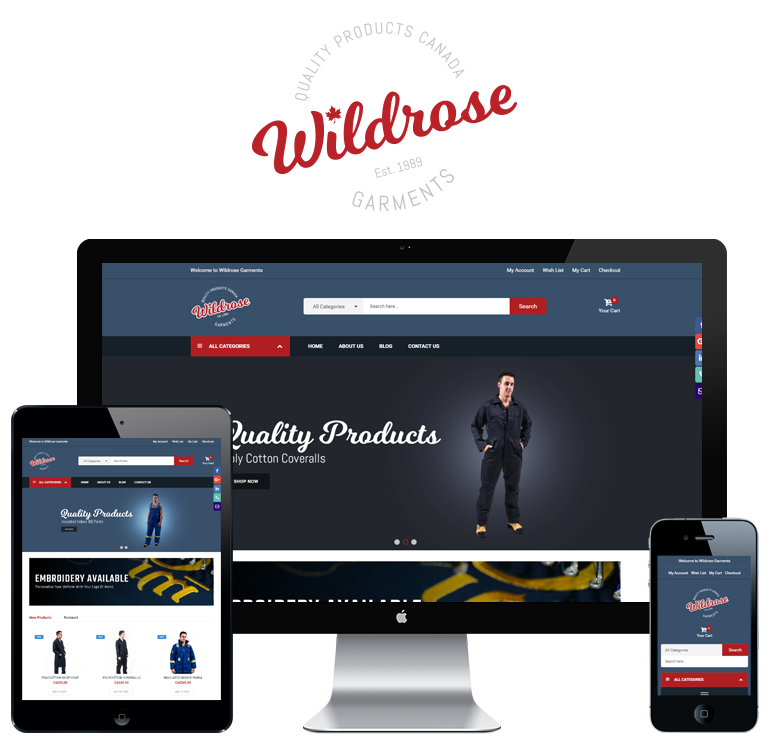 Wildrose Garments is a Canada based manufacturer of top-quality workwear. It produces safety garments, summer/winter wear, and provides embroidery and silk screening services for Canadian customers. Wildrose Garments sought to rebrand itself and create a digital presence in line with the customer’s taste and lifestyle. We collaborated with them on creating logo, redesigning the website, as well launching a digital marketing program to promote and strengthen the brand’s new positioning and online presence. From the initial insight of the product line and targeted consumers, it was clear that our client needed to reposition their existing business to cater to a new, high end market segment. They were looking to reposition themselves as a lifestyle brand. We brand the business along the lines of their core product values and proposed benefits. Wildrose symbolizes strength, resistance and comfort which were the main attributes they wanted their customers should see in their safety brands. We work on their brand elements providing a strong connection between the brand's core functions and key attributes to create value for the end users. Logo is the face of any brand and so it really needs to standout. After spending a great time carrying out brand related research, doing numerous logo sketches and making variations thereof, we came up with a balanced, two-color design style that suited the brand image and dared to be different. A custom website that reflects Wilderose’s brand image, easy to navigate through, great from a UX standpoint, and SEO friendly, were some of the objectives we kept in mind while developing the new site. 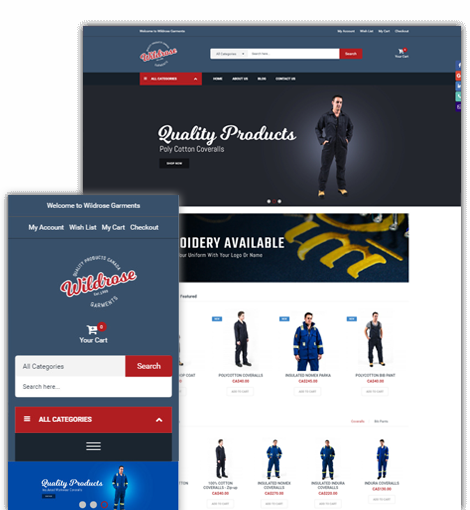 It is fully functional, visually appealing and is created on Magento which is the best eCommerce platform available out there. With the new design, logo, visuals, and website content, Wildrose shifted from generic to lifestyle brand category. The old brand was repositioned. And it’s now an emerging brand looking to gain a greater share of Canada’s safety apparel segment by providing supreme quality products and related services.